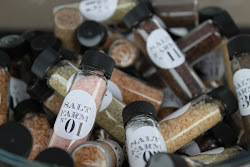 Salt Farm | Sea Salt San Diego: It's grilling season! Not that there's a season for it when we live in sunny San Diego, but it does seem more popular this time of year! Here's what I've been grilling with lately... corn with butter & Smoked Paprika, zucchini & eggplant with Bruschetta, asparagus & salmon with lemon avocado oil & Cyprus, tri-tip with garlic & Espresso, Ginger Sesame coated seared ahi with Ginger Sesame dipping sauce, burgers with Chipotle, shrimp and scallops with Coconut Phuket...to name a few. Off the grill, try a new take on the margarita--simply mix tequila & limeade, rim with Lavender salt. Or try my newest blend, Vanilla Rose (don't let the name fool you), imagine fresh orange zest. 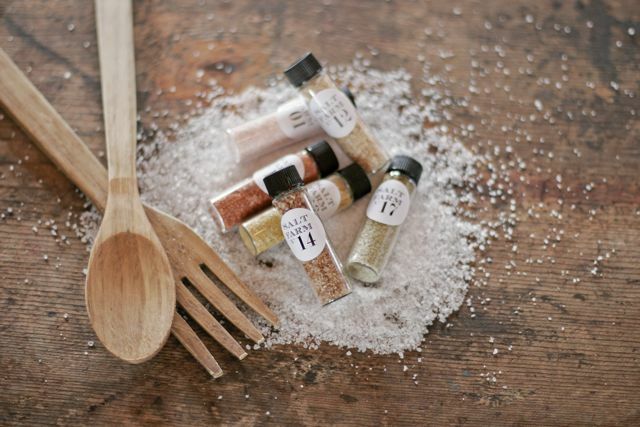 For dessert, the Ginger salt goes with just about any fruit. Try it with strawberries, peaches & nectarines, melon, or grilled pineapple!